Books about astronomy were always my favourite science books when I was a child. Why? Because they always had the best pictures. Whether it was an exploding star, the rings of Saturn, a volcano on Mars or simply the planet Earth viewed from space, the sense of awe and wonder that those beautiful images evoked as a child has never gone away. And the best part is, even in my lifetime the significant strides made in astronomical imagery – the Hubble Space Telescope the most notable example that springs to mind – have meant that there has been a steady stream of exciting new photographs for me and my fellow space imagery fans to gawp in amazement at. 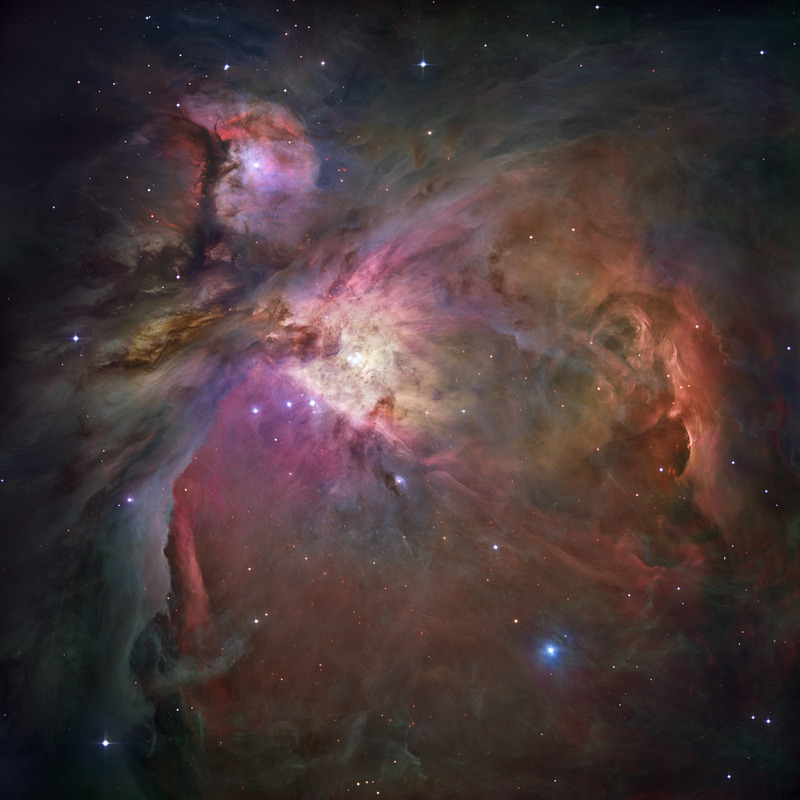 The National Maritime Museum’s Visions of the Universe serves up a ‘greatest hits’ of space photographs for us to peruse, set to some spacey, ambient music that sounds a bit like a Brian Eno album. The exhibition also pays tribute to the people who created these images, from the scientists to the back-garden amateur photographers, from those who had to draw their telescopic observations before the invention of photography to those who build and control the robots that explore distant worlds. All in all, it’s everything I like about science: a showcase of both the wonders of nature, and of humankind’s cleverness. The exhibition is particularly good at explaining how our best images of the cosmos don’t just look nice, but convey a great deal of information about our universe, serving as, first and foremost, genuinely useful scientific data. It is a reminder that, while astronomy is very much a science, photography – in any context – is always about art as well. Take, for example, those truly magnificent pictures taken by Hubble of nebulae, those great clouds of gas and dust of space where stars are born and stars die. It’s the beautiful colours that catch the eye, right? The fact is, none of these images really look like what you would actually “see” if you were, say, in a spacecraft journeying through a nebula and looking out of the window. Instead there would be one or two dullish colours at best, and they would be dim and faint, rather than glowing brilliantly (sorry, Battlestar: Galactica!). For starters, exposure times are several hours, sometimes even days or weeks long, allowing vastly more light to be collected by the telescope than by the human eye. Then there is the use of colour filters, both in the actual photographic process or through subsequent digital enhancement. The net result is the creation of images far more dazzling and impressive than any region of space could ever appear to the naked eye. So, is this art, or science? 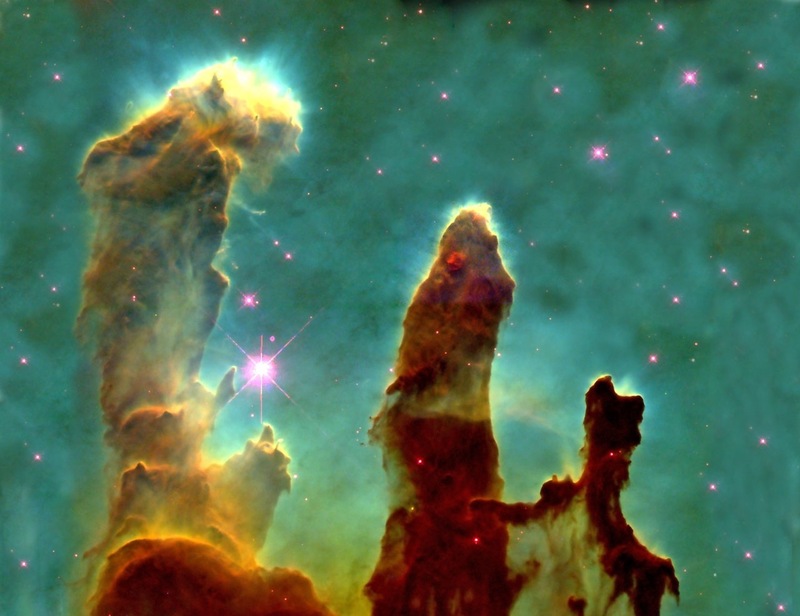 Is the ultimate aim to create images spectacular and beautiful enough that they capture the public’s imagination, like the famous ‘Pillars of Creation’ image did in the mid-nineties? (I can still remember vividly first seeing that very image on Newsround). Getting the public interested in astronomy, and inspiring a future generation of astronomers, can be called the handy by-product. Far more importantly, the manipulation and enhancement of brightness and colour in these images – which visitors get to try out for themselves on an interactive touch-screen – is done to tell us something about the phenomena we are looking at. Namely, what chemical elements are present, since different gases glow different colours. Science. For the space photography enthusiast like myself, a large proportion of the images in the exhibition you will have already seen in books, magazines and websites, but I can guarantee that you won’t have seen a 13m x 4m panoramic projection of the landscape of Mars, comprised of thousands of photographs beamed back from NASA’s Mars rovers, Spirit and Curiosity. 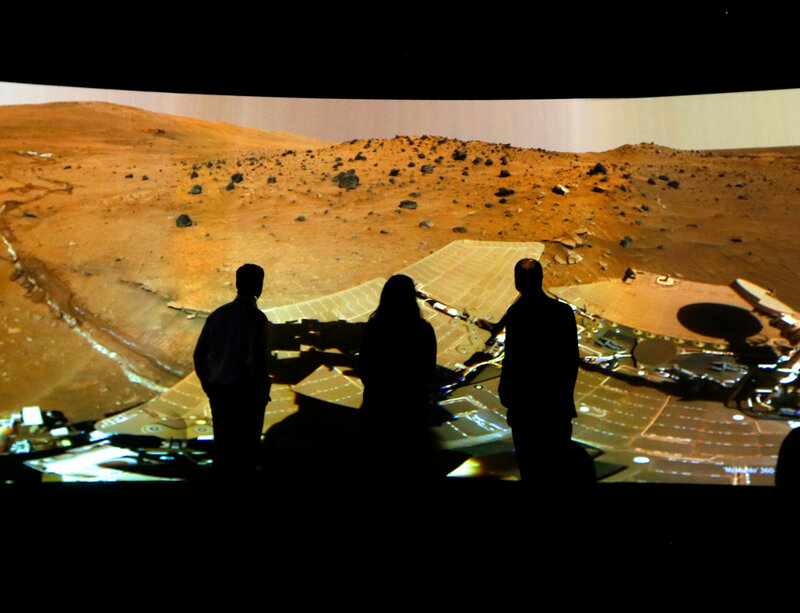 Indeed, NASA put together one these panoramas – there are three in all – especially for this exhibition, and it is the first time that any photographs from these missions have been displayed on this scale. The sheer size of the images, together with the slight curvature of the screen, truly immerses you in the scene in a way that almost makes you feel as though you are standing on Mars and looking out towards the dusty red horizon. There are a few points marked on the floor in front of the screen where you can stand to illuminate pointers on the image, highlighting interesting features in the landscape. It is this part of the exhibition that makes ‘Visions’ unmissable. The layout of the exhibition is such that we are taken on a journey that is simultaneously a chronological history of cosmology and a journey through the universe progressing further and further outwards from Earth. Thus we begin with the moon, and Galileo’s drawings of it based on his telescopic observations, then travel past the Sun and the planets of the solar system, out into the stars and nebulae of the Milky Way galaxy and eventually into the furthest reaches of the observable universe. It serves as a simple and effective reminder of how, since Copernicus first postulated in the sixteenth century that the Earth was not the centre of the cosmos but a planet travelling around the Sun, our species has fixed its gaze further and further into the distance – and, paradoxically, as the distance taken for light to travel to Earth increases with increasingly distant objects, we have peered further and further back in time in the process! Light from the Moon takes 1.2 seconds to reach Earth, while from the furthest objects yet observed the journey time is a staggering 13 billion years (I’ve always loved the sheer ridiculousness of the numbers in astronomy. That and the pictures). I particularly enjoyed seeing astronomers’ very early attempts at imaging the universe. It is all too easy to forget that astronomers had access to telescopes a great many years before they had access to photography – about two and a half centuries in fact. Astronomers of old had to draw what they saw if they wanted to produce an image, and the level of detail and precision in their work is breathtaking. John Herschel’s picture of the Orion nebula from 1835 is able to convey the subtle gradients of the relative brightness of the swirling gas clouds in pencil shading, and has been drawn over a grid on the paper so as to ensure the correct size, shape and position of what he was looking at. Meanwhile Samuel Pierpont Langley’s intricate drawing of the surface of the Sun from 1873 stands up incredibly well to the state-of-the-art solar imagery displayed alongside it. Then there were the early photographic pioneers who first turned their cameras to the night sky, no mean feat in those days. The first ever (successful) photograph of the Moon – and of any astronomical object – was taken in 1840 by American astronomer John William Draper, a 20-minute exposure through a 5-inch reflecting telescope. 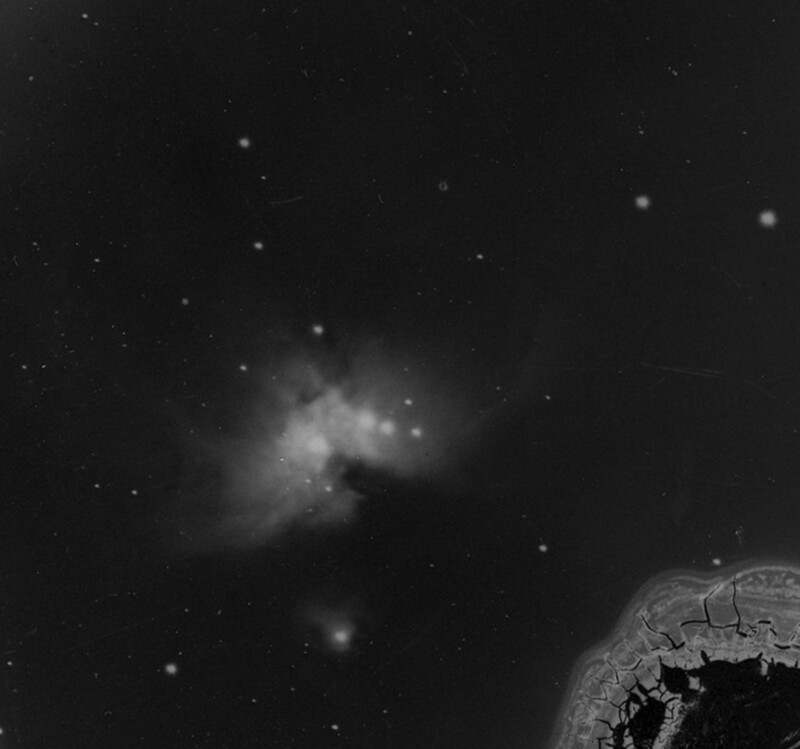 The earliest surviving photograph of a nebula, Henry Draper’s image of the Orion Nebula from 1882, is displayed alongside both Herschel’s drawing and a recent image of the same object from the Hubble Space Telescope, complete with its dazzling array of colours and breathtaking detail, a perfect illustration of just how far technology has come and how radically it has altered our perception of the universe. Of course, nowadays, anyone can have a go at being an astro-photographer, as the exhibition demonstrates in its closing sections, with selected highlights from the Royal Museums Greenwich’s Astronomy Photographer of the Year competition. If, like me, you just can’t get enough of space pictures, then take a few moments to sit and take in the slideshow that is near the end of the exhibition. Once again, many of these images were already familiar to me, but to see them as large as this was to see them in a whole new light. There are many of the photos taken by astronaut Commander Chris Hadfield (of Space Oddity fame) and shared on Twitter during his recent mission aboard the International Space Station, which when seen on this scale make you feel like you are up on the ISS with him, looking down at the Earth (if you catch the one of the Nile Delta and the Sinai Peninsula you’ll know exactly what I mean). Earlier I mentioned the paradox of astronomy having taken mankind on a journey further and further away from Earth yet further and further back in time. There is another curious paradox at play here as well, one that I was reminded of by the famous ‘Earthrise’ shot taken by the Apollo 11 astronauts, and the Neil Armstrong anecdote about how he felt when he found himself able to block out his view of the Earth out of the window with his thumb – not, as you might expect, like a giant, but incredibly small. The universe may seem a whole lot bigger than it did in the time of Copernicus, and our home planet tiny and insignificant compared to when we thought it was the centre of the cosmos. Yet I wonder if we’d all care quite as much about the welfare of our planet or feel the sense of responsibility for it today as we do if we had never been able to see the ‘blue marble’ Earth from space in those iconic photos. Funny that. 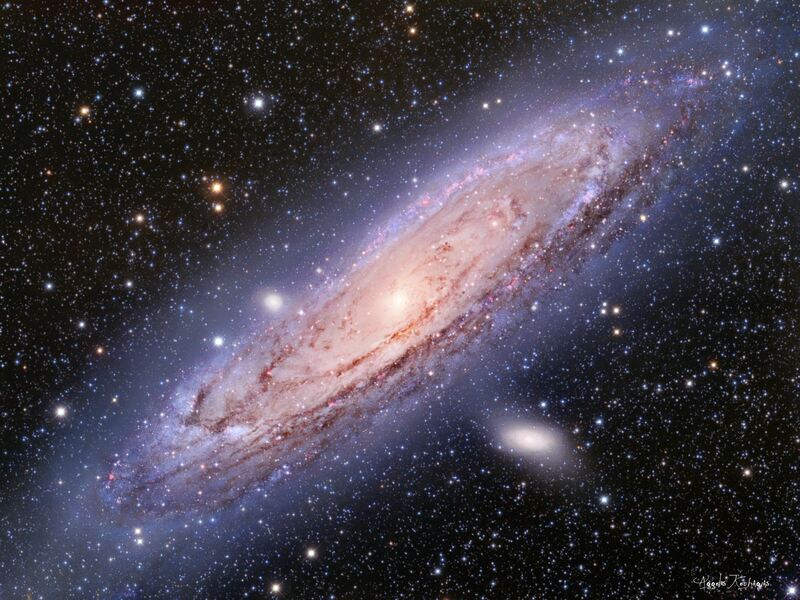 Visions of the Universe runs at the National Maritime Museum in Greenwich until 15th September 2013. Tickets are priced at £8 for adults and £2.50 for children. There are a series of events taking place such as lectures, tours and special evening of quizzing, comedy, and cocktails – find out more here. POSTSCRIPT (18th June 2013): The BBC website now contains a rather splendid five-minute video featuring some of the exhibition’s best images, with a commentary by Marek Kakula. Watch it here. Tags: 16th century, amateur astronomer, andromeda galaxy, astronomer, astronomy, Brian Eno, camera, Chris Hadfield, Copernicus, cosmos, drawing, Eagle nebula, Earth, exhibition reviews london, exhibitions london, galaxy, Galileo, Henry Draper, hubble space telescope, John Herschel, light years, Marek Kakula, Mars, Milky Way, Moon, NASA, national maritime museum, nebula, Neil Armstrong, Newsround, Orion nebula, panorama, photograph, pillars of creation, Samuel Pierpont Langley, science, scientist, solar system, Space, star, Sun, telescope, visions of the universe, visions of the universe review. Bookmark the permalink.